62 pages. Illustrated in colour throughout. Hardcover. Published on the occasion of the exhibition de Kooning: Late Paintings at Skarstedt London in October 2017 which featured eight paintings from the 1980s. 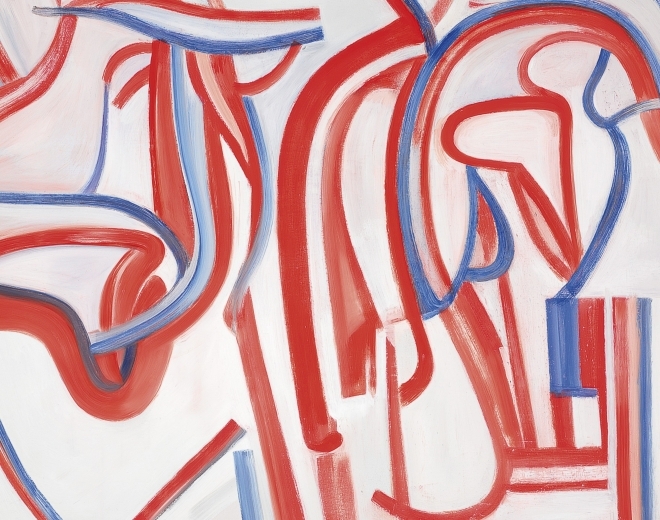 This was the first opportunity to see this body of work in the UK since de Kooning's solo exhibition at the Tate Gallery in 1995, which included paintings from 1938 to 1986. The catalogue includes an insightful essay by Robert Storr, originally published in connection with the travelling exhibition Willem de Kooning: The Late Paintings, The 1980s, as well as archival images of de Kooning at work in his studio. In addition, the publication features detail images highlighting the layering of the prismatic colours in the 80s works and full colour plate images with cataloguing. Capturing the essence of de Kooning's lifetime of experimentation, these paintings bear testament to his enduring mastery and his continued inspiration on generations of painters who followed.